A good photo software program takes a good picture and makes it better. You don’t think a good photographer gets it perfect without using some editing program, do you? Of course, not – they do take great pictures and use a software program and make the photo even better. A good editing program does not have to be hard to use but there are some options that they need to have. Photo editing programs need to have a good set of editing tools. These are used when the photo is good but by just using a few editing tools makes them almost perfect. What type of editing can you use – there are many? To crop a photo is to put a fresh spin on your photos. With cropping you can eliminate what is not needed and watch your photo emerge almost perfect. Quickly trimming your photo can do wonders for picture, so cropping is often used. Cropping is one of the Basic Editing tools. A grid will usually appear over your image. Then you drag the corner handles until you have your desired shape and size. Then you simply click apply and save the photo. Now your picture looks fabulous. When a photo comes out murky (or a step too light or too dark) you can fix this with the exposure function. Exposure is usually the fix for this problem. Most programs will have simple sliders and by moving them back and forth you can quickly resolve specific exposure issues. Clarity might be slightly off and it will make your photo just be a little out of focus. This is when you can use your sharpening tool to make your photos crystal clear. Or perhaps you are trying to set an ambiance that is a little out of focus; you just use this same tool to make the photo have a slight blur. It looked fine when you were taking the picture but for some reason it now looks upside-down when it is being edited. The rotate tool is there to help to rotate the pictures until you have just what you wanted. This resizing tool will spare you headaches by resizing tools – it can be bigger or smaller, whatever you want. A good program will support common social media, website and print sizes. No matter what you are into, a good editing program should be able to make your photo effect match a theme for every image. You can also blend many different effects as possible to give you that perfect photo that will be truly one-of-a-kind. 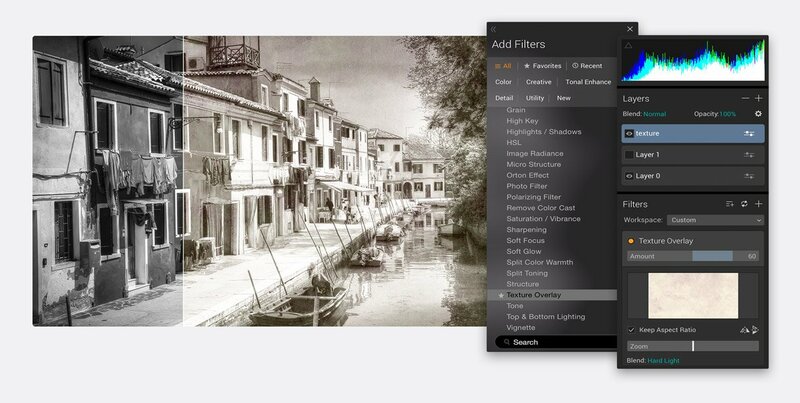 This is a filter that can make your photo have a touch of class in monochrome – or black and white. Black and white effects can make your photo be silver-screen-worthy in no time. These are just a few of the many effects that a good photo editing software program will have. Most of them will be included when the Window version of Luminar is finished. Currently Macphun is working on this Window version and has posted the Beta version that you might want to try out.